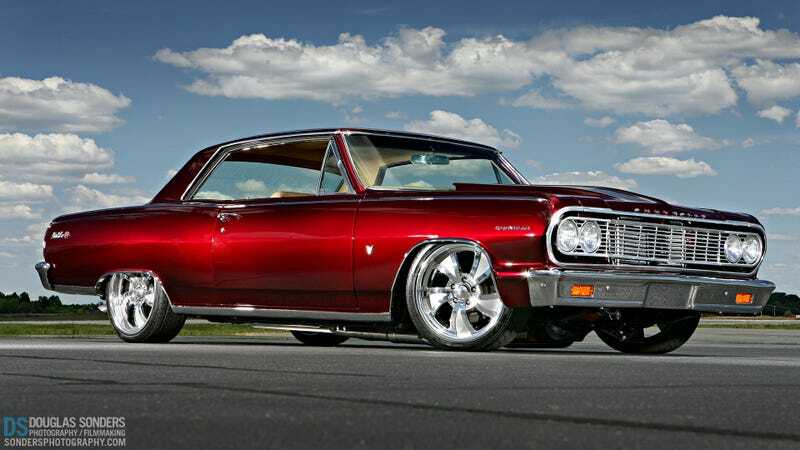 This outstanding '64 Chevelle resto rod was shot by Douglas Sonders, of Bugatti Sang Noir and Virginia chili fame. These '64s might have the most handsome styling Chevy put out in the 1960s, and this one looks capable of turning as well as going straight. That's a perfect muscle car right there. Would you consider owning this car if you knew it would never see the street, like so many of this country's best hot rods? Or would you try to save it?